Lovable Bridget Jones is back! Though she has a challenging job and her loyal band of friends, her life isn’t as she imagined. She’s a 43 year-old singleton and (gasp), Mark Darcy is married. After a passionate evening with a handsome stranger and a reunion with Mark, she unexpectedly finds herself pregnant. What will she do? One of the criticisms I’ve heard about the Bridget Jones movies is “Why would a handsome, successful man like Mark Darcy fall in love with Bridget?” It got me wondering, so I watched both Bridget Jones’s Diary and Bridget Jones: The Edge of Reason before seeing Bridget Jones’s Baby. I realized people love Bridget because she’s sweet, fun, imperfect and, most importantly, has a joie de vivre-a joy in living. That said, if you like the original, you’ll enjoy Bridget Jones’s Baby. It’s light, entertaining, true to the characters and a sweet love story! After the town of Rose Creek is terrorized by a rich industrialist, a widow hires a Chisolm, bounty hunter, to exact justice. Chisolm puts together a ragtag group of outlaws, gamblers and hired guns to help the town defend itself. 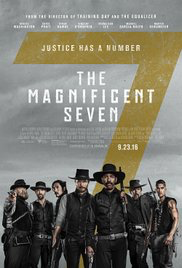 I’m the first person to admit I’m generally not a fan of Westerns, but The Magnificent Seven is magnificent (Sorry for the pun!). It has sympathetic characters, is action-filled, with just right amount of humor and is just a fun movie to watch! 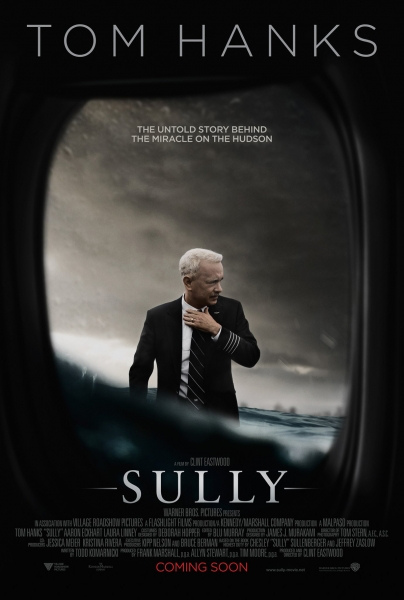 Sully is the story of pilot Chesley Sullenberger, the pilot who, after double engine failure, glided his plane and safely landed on the Hudson River, saving all 155 passengers and crew members. Though we all know how this story ends, it was wonderful to see a movie about a true hero. Though Sullenberger’s skill saved all aboard the plane, it was also inspiring to see what a caring individual he is.